March 5, 2013 / P.J. One year ago today, Rattling Chains launched to the disc golf world with wonderment of what we might be able to accomplish. At that time, it was all me and I had so much energy. Oh, how a year does you in. I honestly didn’t know if we’d make it this far. Disc golf is an interesting niche in which to blog. We try to bring a journalistic feel to many stories, but also don’t want it always to be that way. So we do first-person accounts, instructional posts, reviews, games and whatever else comes across our minds. That being said, we’ve also not been afraid to say how we feel. Our stories aren’t always cake and candy. We’re not afraid to speak the truth. The one thing we’ve found out? We might be a little ahead of the game in being honest. The “big wigs” in this game don’t always like things like that, as I’ve found out from e-mails and other correspondence. It doesn’t do anything to promote the game, I’ve been told. I’ve been asked why we don’t just focus on the positives and don’t worry about the negatives. One answer – we’re not a public relations firm. Disc golf isn’t perfect. I think we all know that. And if the game is going to continue to grow, everyone else needs to realize that, too. We learn from the negatives or low points. Well, at least we should. Believe me, if we could just write happy-go-lucky stories, we would. But then we wouldn’t be doing what we set out to do – to give an honest look to the game we all love. Still, for the most part, each month, out readership increases. We must be doing something right. I really appreciate the regulars — those who come and visit on a daily basis and aren’t afraid to give their feelings in the comments. We’ve been called out more than once and I’m happy that people feel they can and should do that. We did a full week on women’s disc golf – something we plan to do again this year, despite the PDGA not holding a Women’s Global Event, this year after the inaugural event last year. It’s important to make sure we expose women’s disc golf as much as possible to help the game grow as a whole. We gave honest reviews on several products this year. Not all of the reviews were glowing, but they were an honest look at what is being released in the disc golf world. We hope readers – and companies – appreciate that we try and be real with our reviews and usually use more than one person to show thoughts from more than one level of player. This year, Rattling Chains was named the top disc golf blog by Disc Golf Station, an honor we appreciate and wear proudly. We continue to give quality content on a pretty consistent basis (at least three times per week) and allow people to comment freely and engage in discussions to hopefully better the game. In the end, we’re not perfect. We’ve ruffled some feathers. We’ve written some things that weren’t well received. And I’m sure that will happen again. Nobody can always get it right. But we keep working to get better. I’m still a firm believer we bring something to the table no other disc golf blog does at this time. With two top writers on staff — Jack Trageser and Steve Hill, both of whom have journalism backgrounds — it makes it even better. And I’m happy that the two of them share my vision in what this site can mean to the disc golf community. We also have a few other writers who work with us who also share the love of the game we do. And I still love reading other disc golf blogs and what they bring. This is a passionate community. I wish the other blogs well because, as a whole, it’s good for the entire sport — especially when looking at the big picture. At this time, I’d like to thank all our readers and hope you’ll stick with us as we continue to grow. We have some wonderful plans for this year and hope we can continue to deliver high-quality content for you. We have no idea what the future holds. It’s not always easy working for a blog like this and there have been several times where I personally wondered if it was worth continuing. For now, we’ll continue to push forward and keep working on being the best we possibly can. In the end, we continue to thank our readers and supporters for pushing us to give you the best we can. We strive to give you our best and hope you like what we do. Many disc golf blogs don’t last this long, or if they do, they often don’t push out many stories and we’ve been lucky enough to last and publish more than 250 stories in our first year. This is a milestone I only dreamed of when I first started this site. We’ve done it without advertising and with a load of dedicated volunteers who want to see something like this grow with the game. Here’s to continuing the site for as long as we possibly can — hopefully for many years. P.J. Harmer is the founder and executive editor for Rattling Chains. E-mail him at: pj@rattlingchains.com. Great job guys, not many blogs get this far in one year! Keep bringing both the positive and the observations about what could be improved in the game. That’s how we this sport will grow! Thank you for continuing to post great content! I look forward to new posts every time I get on twitter! Congrats on your year anniversary! Why just one week on women’s disc golf? I realize that women in disc golf are in the minority. And, it’s interesting to me that it’s that way. Especially if it’s true that there is 2 women for every man. If you had more articles about women in disc golf, would that help to increase the female numbers? Even in the long run? I suppose there are universals that can be applied to women in many of your articles. Perhaps, it’s just that women, through living in a male dominated society or culture, relegate themselves to the behind the scenes and/or supportive roles. It’s probably a major undertaking and I tend to be too idealistic but seems a worthwhile objective. Joe — We’ll write about women’s disc golf any time of the year. The week we dedicate is for only women’s disc golf. So all the stories that week are about or written by women and it’s done as a way of supporting women in the sport. Congrats on a great year, and I look forward to your women’s week! I’ll probably re-blog it my ladies group blog at that time! Congratulations and thank you! Please keep up the great work. I appreciate everything that all of you do – in the only disc golf blog that I read. I’ve just recently found this blog and read it often. I’ve passed it on to the dozen guys I throw with regularly and I know some of them read it regularly by the comments they make. Keep up the great work! Congrats on a year. This is by far one of my favorite blogs, I check in daily and sometimes check back in just to see if I missed any new posts. I appreciate the honesty and professionalism the crew at Rattling Chains dispenses upon the world wide interwebs and the disc golf community. HAPPY ANNIVERSARY! This is a great milestone! If you can, will you please give a shout out to this great disc golf idea! It’s called “The Brotherhood of the Traveling Disc” http://discgolfer.ning.com/forum/topics/the-brotherhood-of-the-traveling-disc?id=1809917%3ATopic%3A2426430&page=1#comments! And it records the travels of a disc named “Dad”. The disc belongs to a man named Victor, who lost his father too early. Victor put his Dad’s likeness on a disc and this disc travels the U.S. visiting all the places Victor and his Dad never could. 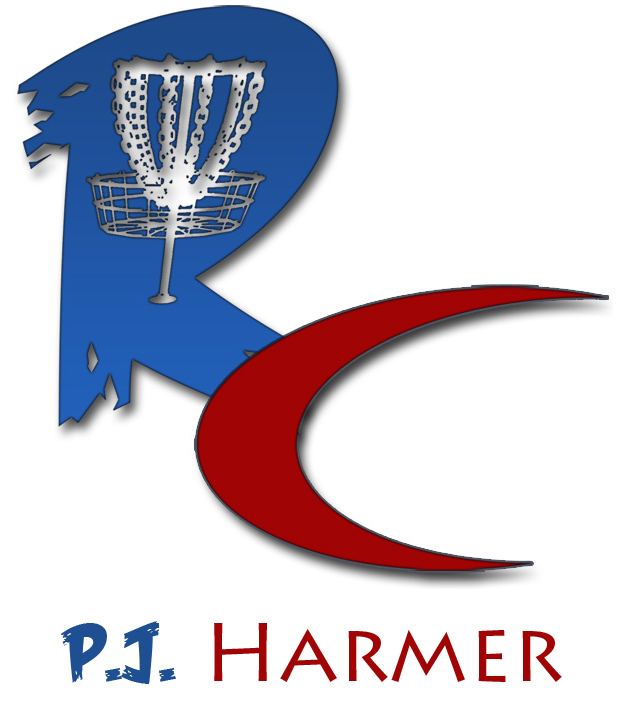 It’s part of a web-based community called “Disc Golfers R Us” http://www.DiscGolfersRUs. It’s an awesome site for disc-minded people to chat and swap ideas, tricks, discs and stories. If you can not get into the Brotherhood link you may have to sign up for the site. Thanks for the consideration! Congratulations and Happy First Birthday!! Many thanks for the hard work and dedication you and your staff put into your well written articles. Your honest opinions are greatly appreciated. KEEP RATLING THEM CHAINS!!! When it comes to honesty in journalism, the best thing for everyone is to be balanced. Good and bad are both important to growth. Growth of the sport will continue whether the dark side is exposed by Rattling Chains or not. There will still be stupid people who leave crap on the course, 420s out to be mellow, and other drama on the national stage that shakes up the community for a while. I would rather hear about it here than while playing distracting me. Keep up the great work. Thanks for being here and honest with everything Disc Golf. Congrats, and Many Many More.